Charles Oakley was the personification of toughness. He may not have been the most skilled basketball player on the court, but what he brought to the Raptors with his attitude and professionalism in the locker room meant so much to this team, especially for the younger players like McGrady and Carter. The fans loved him because he came off as the rough and tough guy who would do the little things outside of scoring to help the Raptors win. 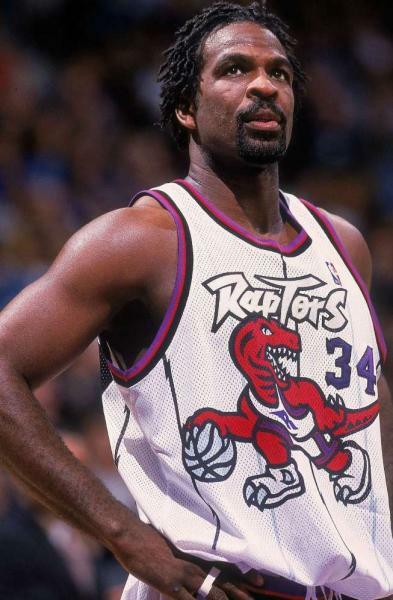 Oakley might be one of the most respected players to ever wear a Raptors uniform. Andrea had tremendous expectations on him coming out of the 2006 NBA draft and being selected #1 overall. While the comparisons to Mavericks forward Dirk Nowitzki have never come full circle, “Il Mago” has still proven to be a serviceable and efficient big man for the Toronto Raptors. Andrea took over the top spot as the new “Franchise Player” once Chris Bosh left for warmer temperatures. He has embraced the role, recording career highs in points, rebounds, blocks, and three-point field goal percentage last season. 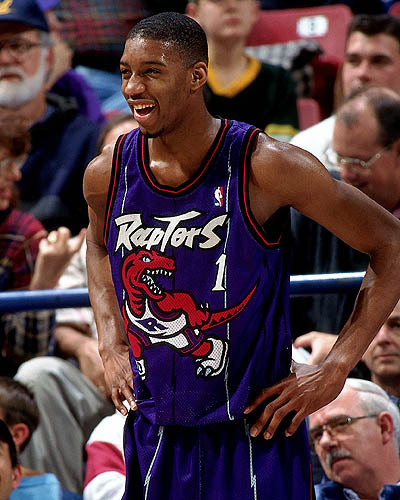 Drafted 9th overall in the 1997 NBA Draft, Tracy McGrady is the ultimate “what if” for the Raptors franchise. The potential of “T-Mac” was realized when he was thrust into the starting line-up for 34 of 79 games in 2000, where he averaged 15.4 points and helped lead the Raptors to their first playoff appearance. Ultimately, McGrady would find most of his NBA success wearing other jerseys, but there is no denying that he is one of the more talented young stars to ever play for the Raptors. Fans can only ponder on what the team could have achieved if they had been able to keep Tracy McGrady. 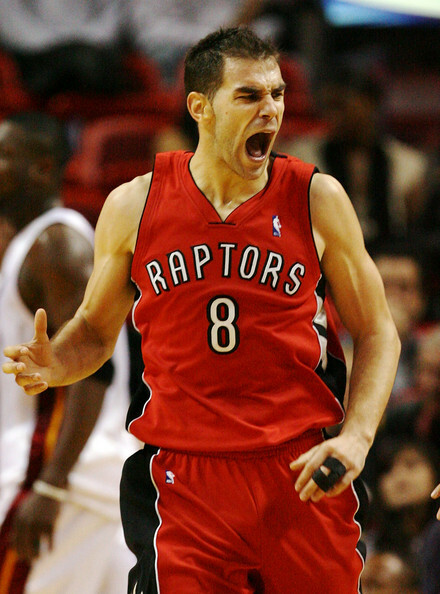 The Raptors found themselves a steal in 2005, obtaining undrafted PG Jose Calderon. While many point guards have come and gone during his tenure (T.J Ford, Jarrett Jack), the one constant has always been Jose. He is only the 6th player in NBA history to shoot 50% from the field, 40% from 3-point range and 90% from the free throw line in a season. He is currently the Raptors all-time leader in assists with 2283. Playing the game of Basketball with a pass-first mentality, Calderon has the ability on-court to make his teammates better, and that is why he has remained a Toronto Raptor for all these years. 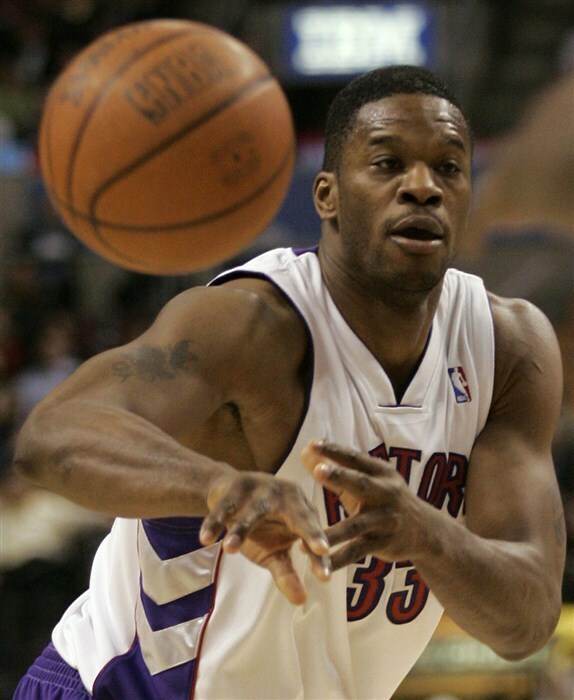 Antonio Davis joined the Raptors in 1999 as part of a trade with the Indiana Pacers where the Raptors sent the 5th pick in the draft (Jonathan Bender) in exchange for the Pacers powerhouse down low. That deal is still considered to be the biggest steal of a trade in franchise history. Davis is 1 of only 3 Raptors (Carter, Bosh) to have made the Eastern Conference All-Star team. He nearly averaged a double-double throughout his tenure in Toronto, and is considered to be the best true center the Raptors have ever had. A constant fan-favorite during his stint with the Raptors, Alvin Williams was known for playing through nagging injuries, a trait many of his fellow teammates were incapable of doing. Arriving in 1998 as part of a deal for Damon Stoudamire, Williams would work his way from the doghouse of the bench and into the starting line-up where he would help the Raptors win their first ever playoff series in 2000-2001. Alvin hit one of the biggest shots in team history in that series, nailing a 4th quarter jumper with seconds left on the shot clock to put Toronto ahead for good against the Knicks. Unfortunately his career would be cut short by injuries, but Alvin does remain with the team to this day as a Director of Player Development. He may not have had the flashiest career numbers, but Alvin Williams still has a special place in the hearts of Raptor fans for his never say die attitude and his love for the game and the city. 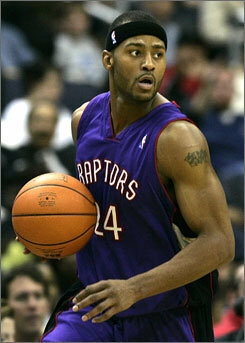 Morris Peterson is the longest tenured Raptor in team history playing for 7 seasons and a record 544 games. Mo-Pete is probably best known for his array of circus shots, including shots while blindfolded and off-balance lay-ups. He was a constant source of energy for the team whether he was a starter or a spark-plug off the bench. Fans respected him for his ability to leave it all out on the court every single game he played. He currently ranks as the Raptors all-time leader in 3-Pointers made at 801. #24 had his best seasons as a member of the Raptors, and still talks highly about the city of Toronto to this day. Stoudamire was the first player ever drafted by the Toronto Raptors and is the first player of notoriety that the team ever had. Standing at 5’10 and nicknamed “Mighty Mouse”, Stoudamire was one of the few bright spots for a team that was just entering its inauguration period in the NBA. Damon was the catalyst for what still remains one of the biggest regular season victories in franchise history back in 1996 when the Raptors defeated Michael Jordan and the 72-10 Chicago Bulls. He and Vince Carter remain the only players in team history to win the Rookie of the Year award. Many years may have passed since the era of Stoudamire, but fans still remember the little guy from Arizona with the Mighty Mouse tattoo on his right arm. Chris Bosh was picked #4 overall in the historic 2003 NBA Draft, which also featured future stars Lebron James, Dwayne Wade and Carmelo Anthony. As a skinny kid out of Georgia Tech University, many wondered if Bosh could one day elevate his game to match those of his draft peers. When Vince Carter was traded to the New Jersey Nets, the weight of the franchise was then put on Bosh’s shoulders. Chris would embrace the pressure of being “the man” and roll with it, leading Toronto to 2 straight playoff appearances, 5 selections to the NBA All-Star team, as well as the teams only Atlantic Division title. He currently reigns as the Raptors all-time leader in points, rebounds and blocks. Bosh may have left a sour taste in the mouth of Raptors fans by leaving the city to join James and Wade in Miami, but Bosh has forever cemented his place as arguably the greatest Raptor of all-time….if not for my #1 selection…. “Air Canada” Carter. 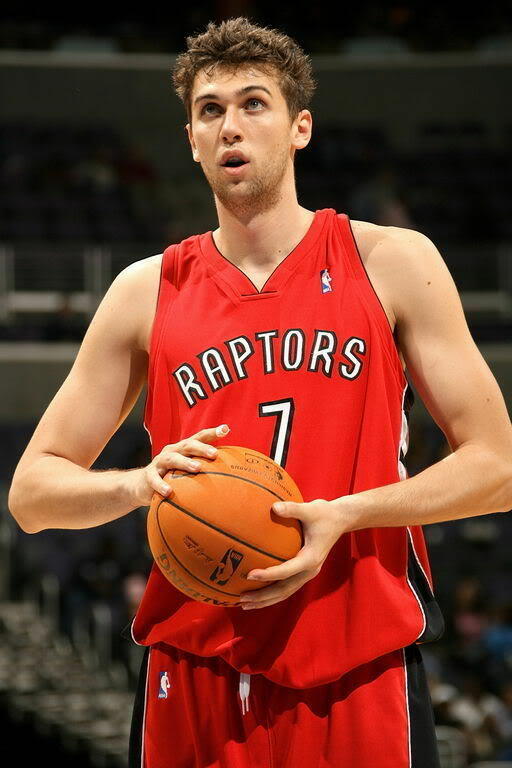 Love him or hate him, he is the greatest Toronto Raptor of all time. He put the Raptors on the NBA map and made them relevant around the league. Drafted in 1998 as a Golden State Warrior, Carter was then traded to Toronto for the Raptors pick Antawn Jamison in a move that paved the way for what was to come. Carter dazzled crowds at the Air Canada Centre on a nightly basis with his wide-array of breath-taking dunks. He was a key reason as to why the Raptors were able to win their playoff series (the teams only playoff series win) against New York, and he took the team to within 1 shot of the Eastern Conference finals the series after. He was a 5-time NBA All-Star, a Rookie of the Year and a memorable Slam Dunk champion. His constant injuries and missed games made fans sour on Carter over the years, including his much publicized trade to the New Jersey Nets. Despite all of that, Carter remains the reason as to why Basketball became so popular in a city dominated by hockey. He is the most exciting, gifted player to ever step foot on a Raptors court, and for that, he is my greatest Raptor of all-time. 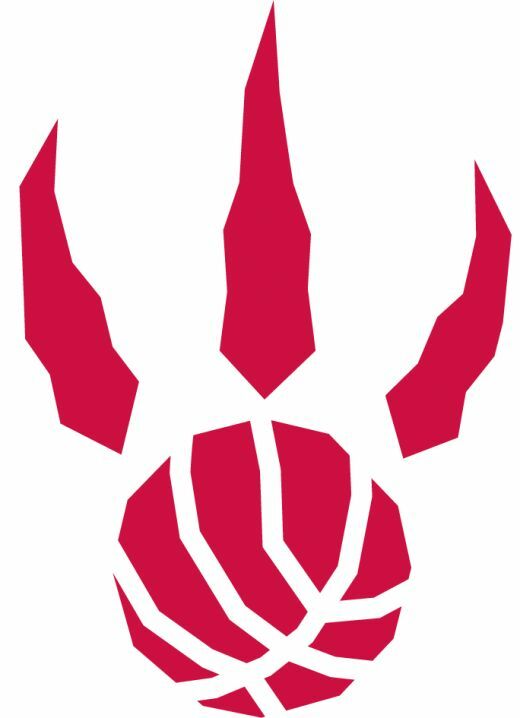 This entry was posted in NBA, Walder Top 10 and tagged Basketball, Best Raptors, Chris Bosh, NBA, Sports, Toronto Raptors. Bookmark the permalink. I loved Mighty Mouse. 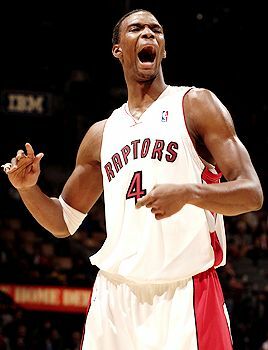 He is by far my favourite Raptor of all time. I can agree that VC elevated the Raps to new heights and that’s why he is #1, but I’m not convinced that CB4 should be #2. I do think that no matter what order, those 3 all belong in the top 3. Nice post. Keep ’em coming. When you think of the Toronto Raptors and their 16 year history, the 3 guys you put at the top of the best of the best list are indeed Stoudamire, Carter and Bosh. Even though you can debate as to who was the better player, I decided to rank Bosh at #2 because his resume as a Raptor far surpasses anything that Stoudamire did during his tenure. 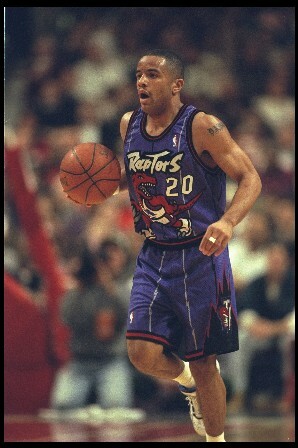 They played during different times and the teams were night and day from each other, but at the very least Damon Stoudamire is the clear-cut #3 Raptor of all-time, at least in my opinion. It is hard to like Chris Bosh now, but you can’t argue that outside of Vince Carter perhaps, that no other player did more for this team and this city than CB4. I was considering putting Doug Christie on this list as well, but when I thought about it more, I don’t believe Christie was as good a player or more important to the franchise then anyone I put on the list. I find it hard to agree with you on your “Doug Christie should go ahead of Alvin Williams” comment. Alvin was one of the biggest fan-favorites in Raptor history, and perhaps hit the biggest shot ever for Toronto in their playoff series win against New York. Doug Christie’s time in Toronto resembles that of a Anthony Parker, and Anthony Parker would not be in my top 15. If I continued to add to the list, I would place Jalen Rose, Donyell Marshall and Marcus Camby ahead of Christie. Doug Christie was a very efficient player in his time, and should be recognized for his contributions to Toronto….just not on this top 10 list. wow, took the words right outta my mouth. I remember my first NBA game, at MLG, Doug Christie was our best player and #1 option at the time. He went 0-11 but it seemed like he was somehow much worse. I’d agree he was underrated but he was much like AP without the corner trey. Jalen and Donyell get slept on. Through that terrible Kevin O’Neil year (the year of 130 pt totals, the VC trade, the Skip vs Jalen feud prt 1) the only thing that kept me from breaking a lamp was watching JRo take fools down on the post, back em in and swing those elbows right for the defenders head on the turnaround J. Loved how Jalen never left the ‘hood in the locker room. Even at the end of his career dude was grimey. Loved Jalen.